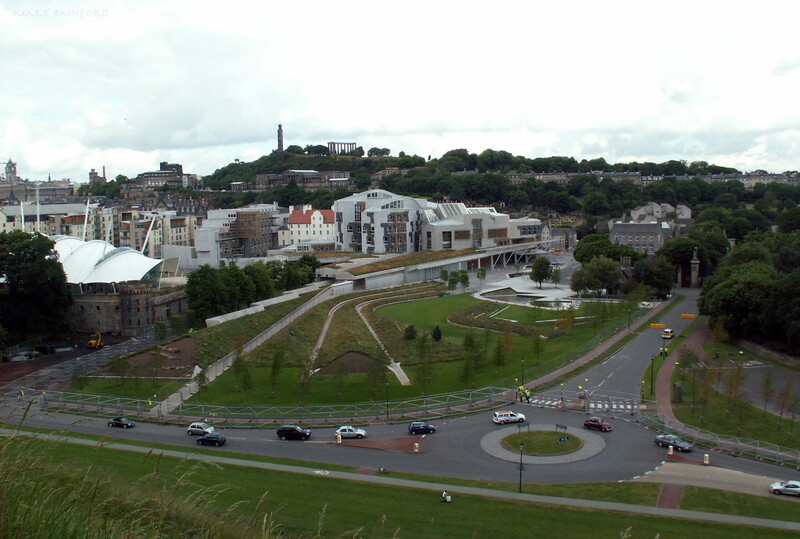 The Scottish Parliament is the devolved national, unicameral legislature of Scotland, located in the Holyrood area of Edinburgh. The above photo was taken around July 2008, you will see fencing around the parliament building, this was put in place due to the G8 summit in Gleneagles. I presume they did not want any naught people around/near the building.